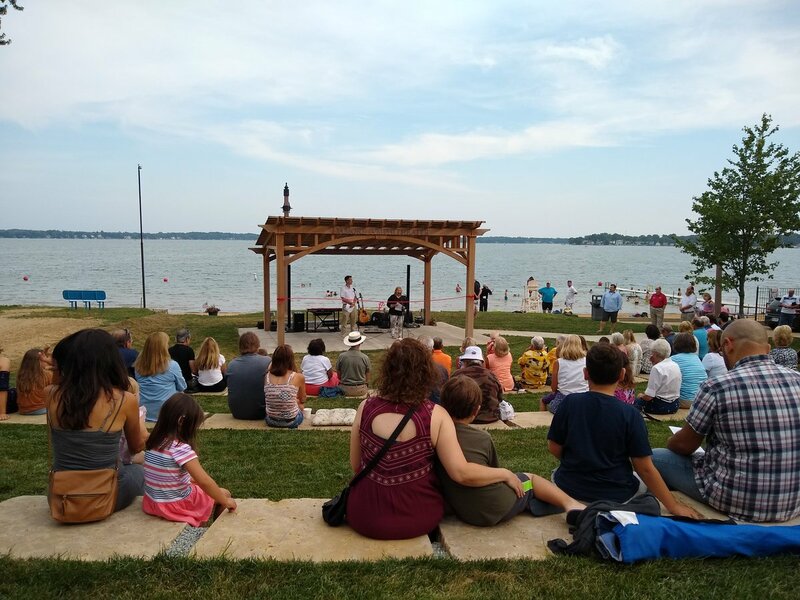 July 12th Culver held a dedication ceremony and the inaugural concert at the Damore Amphitheater. This is a project that we completed earlier in June. This Spring was challenging, with our pre-construction meeting being held with snow on the ground, but despite that, we were able to complete the project with minimal delays. FH Deck and Landscaping did great work placing the stones and completing the landscape work. In house we completed wiring and assembly of the pergola structure. The site was designed by Mike Reese with Troyer Group. The cold start this year made it difficult to get the plants in place as all of nurseries were behind. The original design called for hydroseeding parts of the site, but again, they were behind so we ended up donating additional sod to the project. Then it turned hot just as everything was completed. It was a challenge going forward to keep things watered, but the except for a few brown patches of sod, everything looked good for the grand opening. This was one of the projects from the 2016 Stellar Communities application that Culver was able to move forward without Stellar. This is a project that received funding from IHCDA and Marshall County Community Foundation. That made room for other things in the 2017 application. The separate funding of this project and the advancement of the Sand Hill Farm apartment project, both outside Stellar, contributed to our Stellar Designation in 2017. Hopefully the Town will be able to start scheduling performances here and make the site a destination. We’re proud of our part in bringing this project to fruition.